Different cultures and different points of view are woven into the fabric of this world. Thanks to the world wide web, globalization is now part of our daily routine. The world is getting smaller. I’d like to share some initial thoughts about diversity. There’s a difference between embracing diversity and being in agreement. Diversity doesn’t mean we’ll agree. Diversity is the acceptance of a range of different people/things. Diversity is quite simple: it means variety. Being in agreement does not equate diversity. We can embrace diversity yet disagree. 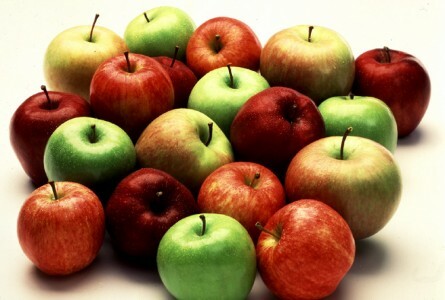 Using apples as an example, they’re diverse: Granny Smith, Delicious, McIntosh, Gala, Fuji – yet they’re all apples. They grow healthily in orchards of sameness. Your culture, your community and your world is like an apple orchard. You are valuable. Your beliefs, your convictions, your lifestyle, your principles, your opinions and your feedback are all valuable. If you’re a Gala, you’ll never be a Granny Smith, and that’s ok. Granny Smiths and Red Delicious, although both apples, are diverse. If apples can thrive in diversity, how much more can we humans? You know what confuses things? The word “or”. That’s what messes everything up. We like the word “and”. Think about it. Running works best with the right and left leg alternating in motion; not the right or left leg. Rocking a chair works best with front and back motion; not front or back motion. Diversity challenges us to rethink things. Diversity is the invitation that starts us with “or” and unites us to “and”. KT: Why yes I do, CV. CV: Which one? Do you like surf or turf? KT: Umm… well, I like them both. CV: You can’t. You have to pick your favourite. KT: But they’re so different. One is seafood and one is beef. I like them both. Why can’t I like them both? CV: It doesn’t work that way. Pick one. Pick a side. KT: Ok…. I like surf. I choose surf. CV: So you don’t like beef?! KT: I do like beef! The word “or” provokes us to choose this rather than that or that rather than this. (note the or I snuck in there). Think beyond the word“or”. It will help immensely in learning what it means to be part of this big beautiful blue planet full of diversity. How does diversity grow healthy orchards? What does it look like when we embrace diversity and uphold ‘variety’ as a core value? Let’s start with 10 simple principles on how we conduct ourselves amongst diversity. We refrain from derogatory or condescending language about another human being. We may not always agree, but we are not aggressive. We do not disqualify a person’s beliefs, values and principles to help prove we are right. We recognize that mankind is made up of various cultures and practices. Ours is not the best one. We will debate and disagree without loss of respect, kindness and honour towards one another. We engage with interest in conversations to help gain understanding and appreciation of others. We embrace each human as a valuable contribution to this world and we’re thankful. We may have convictions on certain topics, but never at the cost of defaming or degrading another. We do not uphold discrimination and prejudice. May we please place, as our highest priority, the embracing of diversity regardless of which apple we are. Let’s simplify diversity and not overcomplicate it. Yes, disagree all you want. Yes, have convictions. Yes, have points of view. Enjoy your community. Enjoy your culture. PS. The apple core is where seeds are nestled, ready to be planted so they too can be an apple tree.